Please call owner Elmer at 786-319-1894. Boat is in Miami, Florida. Super Clean In and Out. 1990 Family and a Fishing machine, Great Boat is a Custom Craft. Comes with a Garmin Gps. Cabin is super clean. 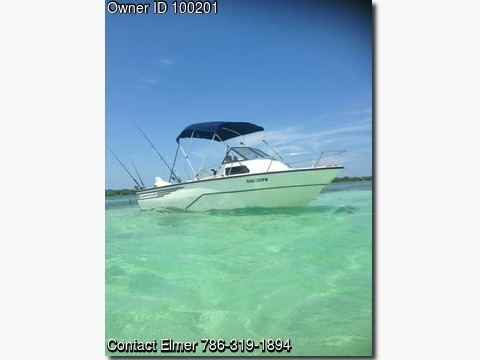 and comfortable.Very Nice and dependable looking Boat for the family and and for fishing As well. Looking to go Bigger , it has a 1990 Johnson 175 HP that runs very strong, Carburetors were done a year ago. it has a new starter and a new solenoid. Trailer is a galvanized double axle trailer. New Lights and guide aluminum poles.Also comes with a Bimini top for those days at the sandbar. Only used Non Ethanol Gas ever since I own. Two New Batteries.Safety gear Included.